100% Non-Smoking Hotel. 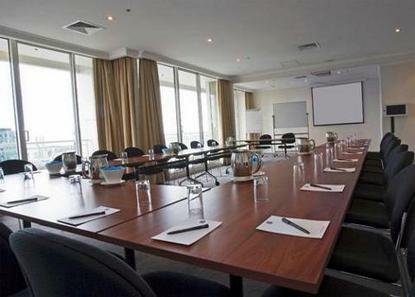 All suite 4 1/2 Star hotel perfectly located in the heart of Melbourne overlooking the Yarra River. The Crown Entertainment Complex, Melbourne Exhibition Centre and Southgate are just across the river and the city's best shopping, sporting arenas (MCG & Telstra Dome), and theatre precinct are within a short stroll or free City Circle Tram ride away. With significantly more space than traditional hotel rooms, our superbly appointed studio, 1 and 2-bedroom suites provide you with more room to relax, most with balconies overlooking Crown's spectacular fire display on the banks of the Yarra. Parking: 20.00 AUD per day. Zipper bed available in most rooms.